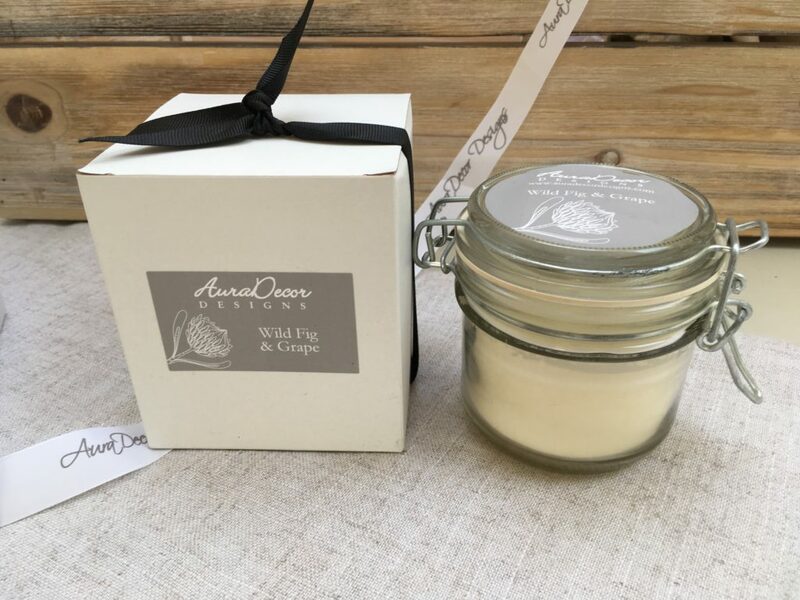 Our natural wax storage jar candle is free from additives and petroleum based paraffin wax, resulting in a clean burn whilst releasing fragrances made with essential oils. See our tip below for getting the most out of your candle burn time. 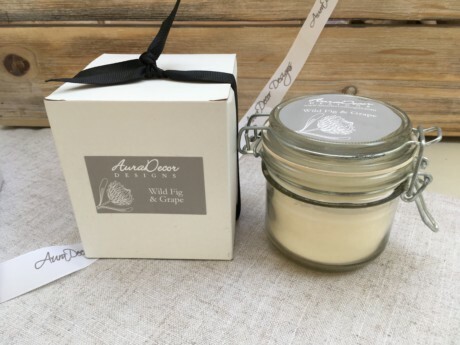 Hand poured for AuraDecor Designs in the UK, these clip storage jar candles are high quality, environmentally friendly and not tested on animals. The natural wax and essential oil candle comes in a handy clip storage jar which can be closed between burns. The clip jar can be reused after the wax has burned away. Attractively packaged with a branded ribbon, this candle will also make an ideal gift for the friend who loves fragrancing the home. This natural wax and essential oil candle range is also available in a Travel size, perfect for taking on a weekend break and a wooden lidded jar. Hint - When burning your candle for the first time, allow the wax to form a liquid pool which reaches the edge of the container. This prevents a 'crater' from developing in the middle of the candle, and will maximise the burn time of your natural wax and essential oil candle.